Capture the wonders in 10 seconds! Meipai is the hottest way to capture and edit short videos and turn your photos into amazing music videos. Nearly every girl I talk to uses and recommends this app. Let's see what all the hype is about! 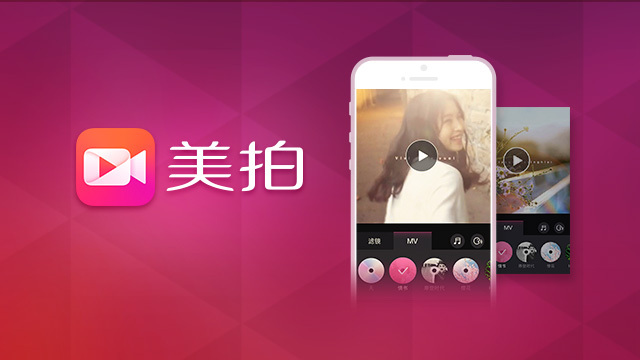 Meipai, available in Chinese and English, allows its users to create videos up to 10 seconds which are then uploaded to the Meipai community and can be shared on Weibo, WeChat, Facebook and many other platforms. The community aspect seems to be one of the reasons that this app is highly recommended. Think of it like a hybrid of YouTube and Facebook. The content is all original user submitted and can be seen by all (no real privacy features). Other users can then like and repost your video. Through the community you can gain followers and fans. In addition to creating videos, there is some basic editing tools like filters and music, but not much else. You can also string up to 6 photos together and make "music video". Why do I love Meipai? Immediately after I moved to Shanghai, I downloaded the app and started making videos. I love how quick and easy it is to go from filming to uploading and posting. It's really a no fuss app. The biggest draw back, which actually isn't that big of an issue, is the filters sometimes have strange or irrelevant English phrases. I'm also not pleased that there are no privacy features to prevent videos from being seen by all. I'm hoping they'll come out with an update that allows for "friends only" viewing. Where can you find Meipai? You can also view the Meipai community and all of the videos on their website. Expect a lot of food photos and videos of cute babies.